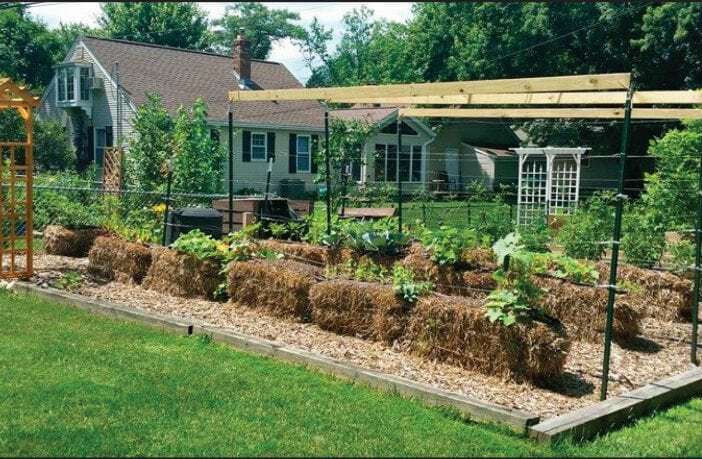 For the residential gardener, especially one with poor soil or limited space, straw-bale gardening is the solution. Start with a bale of wheat straw, the kind that’s held together with twine. 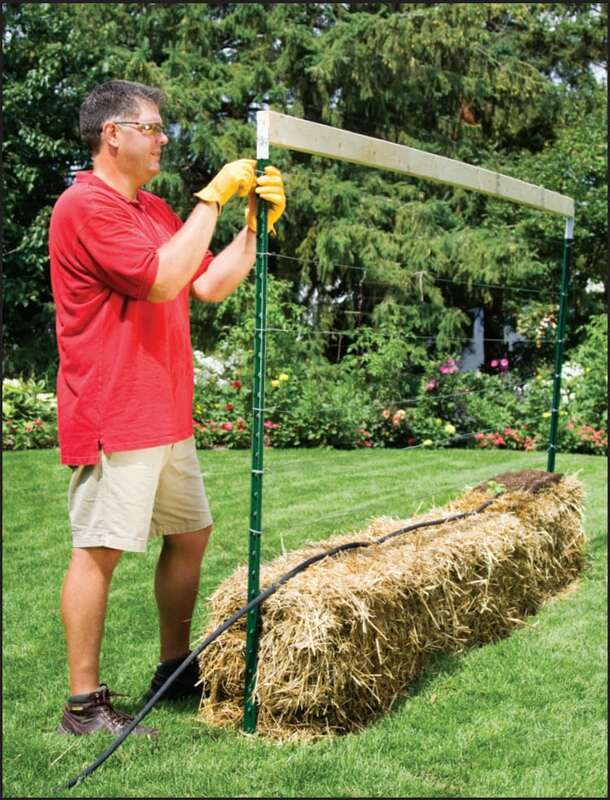 Place the bale in a spot on your lawn, patio or deck where it can receive at least six hours of full sun daily. For the first 12-15 days, you’ll condition the bale with lawn fertilizer (make sure it has no herbicides or weed killers) and periodic watering. Position the bales nonstring side up, cut edges exposed upward, and place bales end-to-end in rows. If you’re putting them on a patio or deck, place them on landscape cloth to keep them neat. Leave about 6 feet between rows of bales for easy access and harvesting. The bale is conditioned in much the same way compost is produced. Bacteria feed on the nitrogen that’s produced during decomposition, breaking down the straw and creating a nutrient-filled growing medium. Once the bale is property conditioned, you can plant seeds or seedlings directly. Kasten recommends using seedlings for novice gardeners and those who want a quicker start. 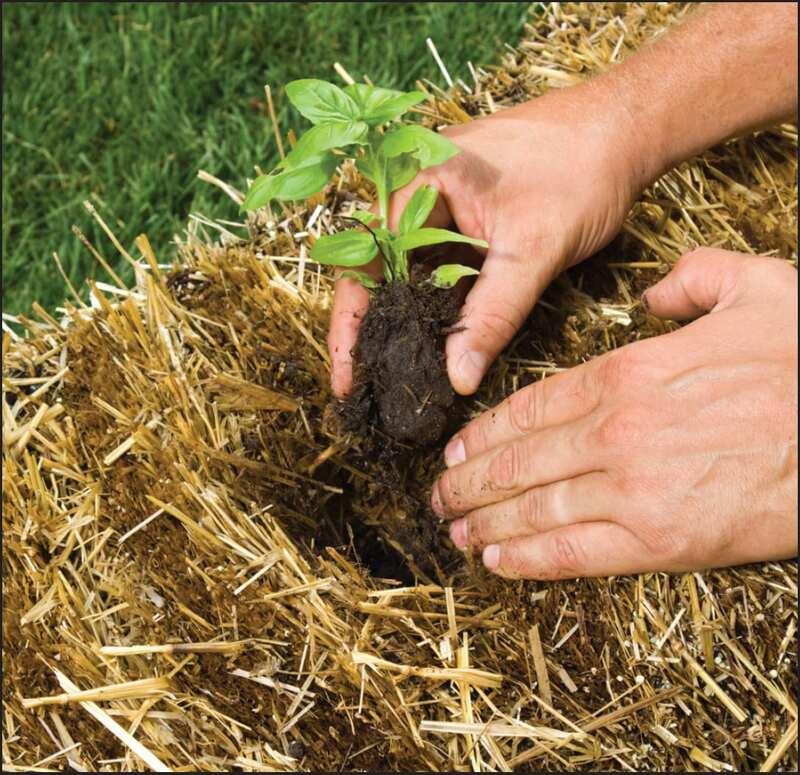 Use a trowel to dig a hole in the top of the bale a little bigger than the root ball, removing any netting or peat pots, then place the seedling into the hole, following the suggested distance between plants on the label. You can add some sterilized potting mix to fill in the gaps; it should be weed- and disease-free. Be sure to monitor the bales daily to maintain consistent moisture. If they feel dry several inches into the bale, water them. 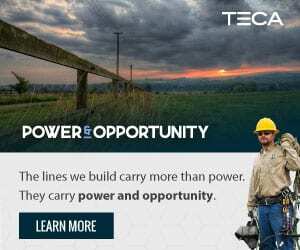 Running drip irrigation can help with watering consistently. Continue to fertilize the bales as you would your in-ground vegetable garden. 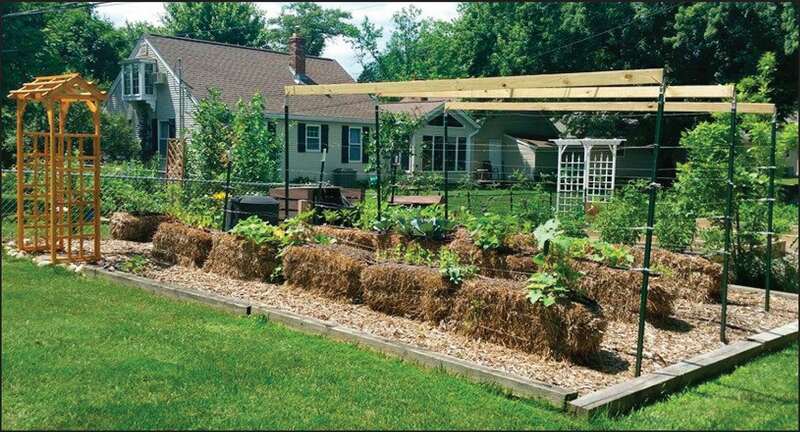 Some of the most popular crops are tomatoes, squash and peppers, but by installing a trellis on each bale, green beans, cucumbers and other vining or trailing plants will grow very well. 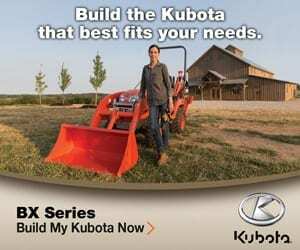 But straw-bale gardening isn’t limited to vegetables. 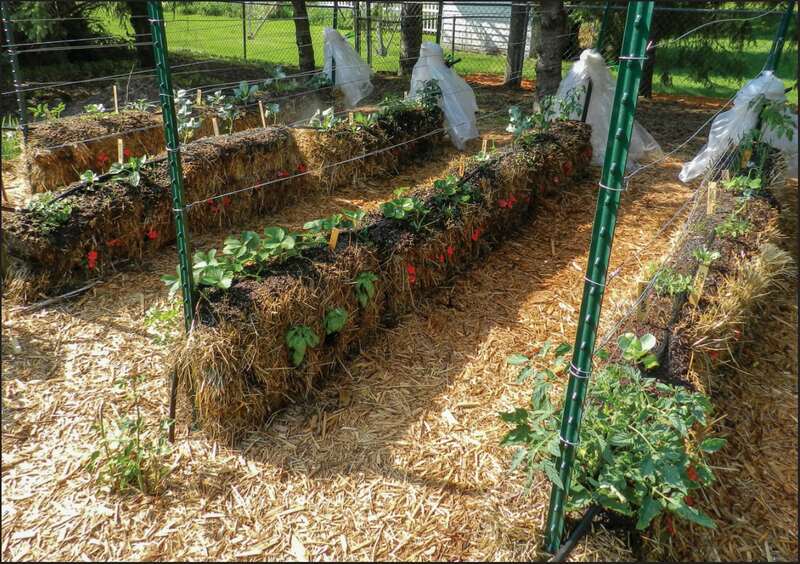 Seedlings thrive in properly prepared straw bales. Below, lining your rows with a layer of straw will help prevent weed growth and mud issues. If frost is still a threat, it’s easy to drape plastic sheets on the trellis to cover young plants. Sometimes bales can be reused for a second planting if they’ve remained intact. If you’ve used landscape fabric beneath them, they’re likely to hold up for a second season. But Karsten suggests starting each season with fresh bales to reduce the risk of disease. For more information about straw-bale gardening techniques, visit Karsten’s website, strawbalegardening.com.